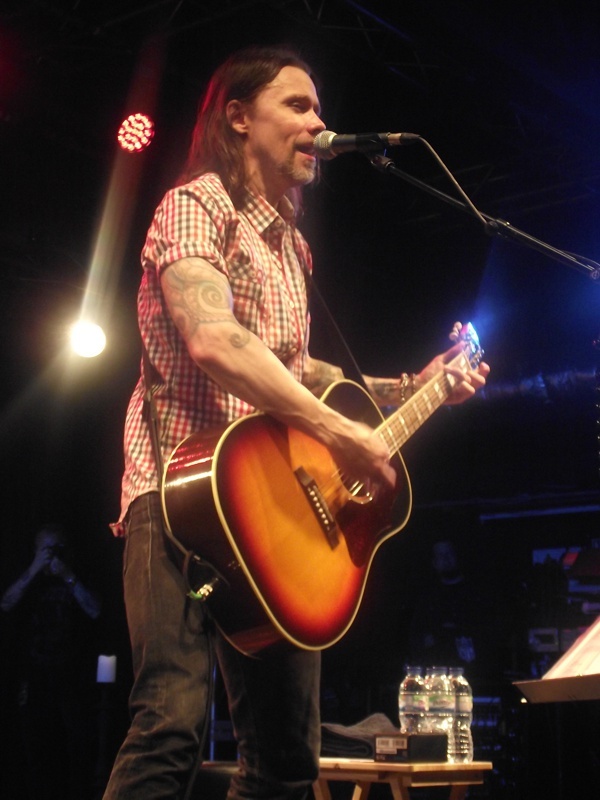 When I saw Myles Kennedy back in March I was packed sardine-like into a venue in Manchester, and though the performance was fantastic, I was less than thrilled with the uncomfortable way I had to watch the show. When it was first announced that more shows had been added for a second leg of the 'Year Of The Tiger' tour, at different locations to the first, ticket sales surpassed expectations and the venues had to be upgraded to allow for the increased demand. During his time in Alter Bridge and more recently his front-man status with Slash's band, Kennedy has never played Liverpool and I was more than delighted he had moved away from the regular Manchester visitation for somewhere slightly closer to my home. Rail and station disruptions meant alternate modes of transport were necessary, but following an afternoon in front of the TV watching football, it was only a slight inconvenience and added to the evening's entertainment value. The Academy show in Liverpool was a sell-out and as I entered the main room there was little doubt it would be warm, despite assurances that the air-conditioning was firing on all cylinders. I made my way to the photo pit for the first three songs of the set where it felt like a million degrees. Kennedy had been altering the set slightly show by show, but many of the songs included tonight also featured in the set I saw in Manchester earlier in the year. The main difference this time was that it was completely solo and there was no "Tim aid" (please see Manchester review for details); everything was performed using an acoustic guitar and foot pedals. I still think that Kennedy is finding his feet when it comes to his new role as a solo performer, but he seemed genuinely relaxed, despite the increased temperatures in the room. Much to the delight of some of the ladies in the audience, he removed his shirt halfway through, but kept his dignity intact via a white vest (much to the disappointment to some of the ladies in the audience, I'm sure). 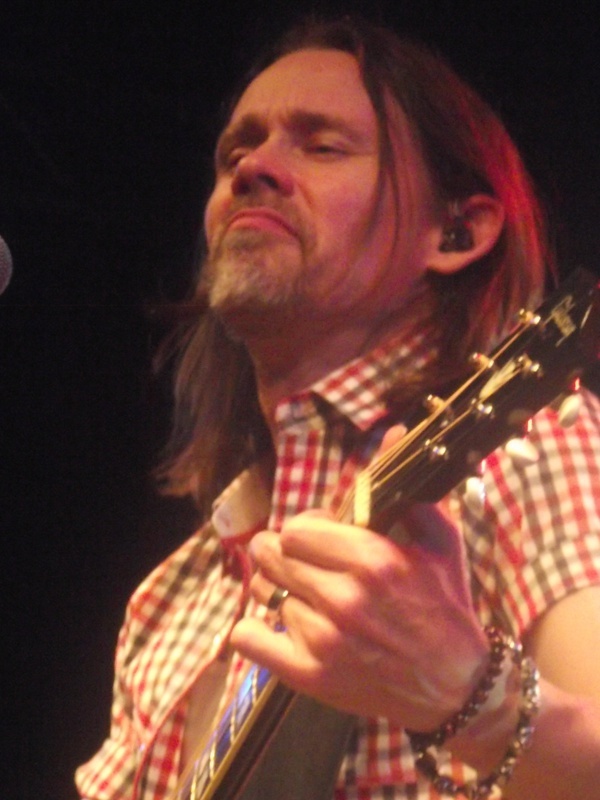 The set moved through the more recent 'Year Of The Tiger' solo material, to old Mayfield Four songs, Slash songs and, naturally, Alter Bridge songs. 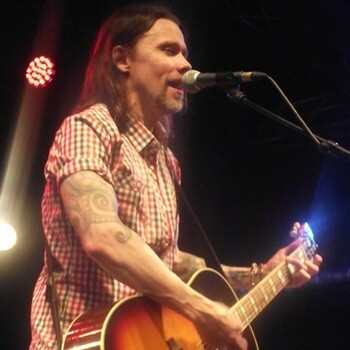 The Alter Bridge selections were nice renditions of some the deeper album cuts, generally those not played live by the band and to that extent they varied slightly in this acoustic format. One nice surprise (though I actually knew it was coming), which followed Kennedy's confession of a love of classic English Heavy Metal bands, was a run through of Iron Maiden's 'The Trooper'. Obviously the tempo was a contrast to the original, but it worked really well and went down a storm. There was a brief pause mid-set to acknowledge the football result from earlier in the day (an England win of all things) and though he has no real love for the game, Kennedy kindly conducted a short crowd sing-along (no need to ask which particular song). It is difficult to single out highlights from the seventeen song, ninety minute set, but I did really like the way he set about the old Mayfield Four songs, such as 'Mars Hotel' and 'White Flag'. 'Watch Over You' found neck hairs standing to attention, as always, and when the two song encore of 'Love Can Only Heal' and 'Year Of The Tiger' brought things to a close, I don't think anyone really wanted it to end. The show was fantastic and was matched by the atmosphere in the Academy. 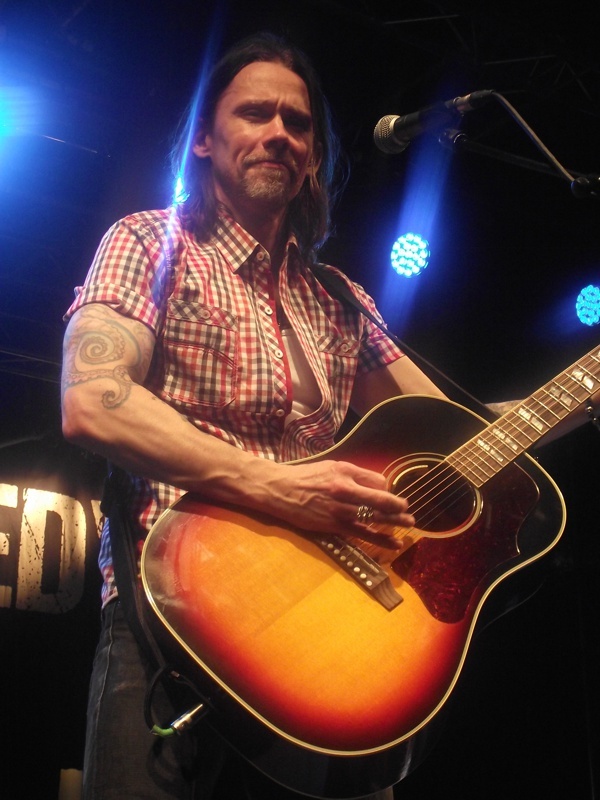 With a new Slash album due to be released very soon and touring commitments on the back of it, there may be a long wait for more solo shows from Myles Kennedy. I was fortunate to speak to him a week prior to this show and he confessed that he had well and truly caught the solo bug and he promised that he would find time to record and tour as much as possible – Alter Bridge and Slash schedules allowing.